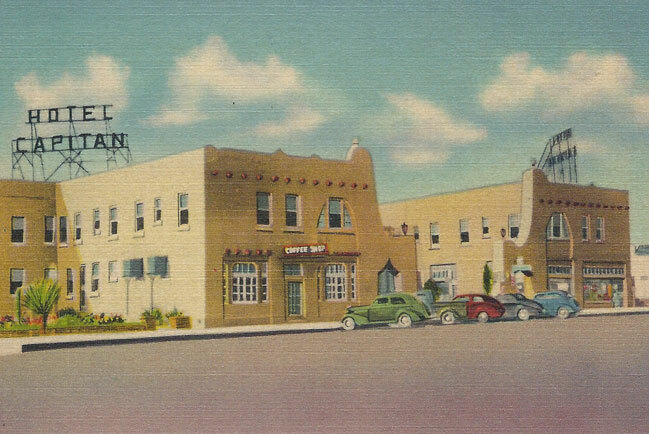 Hotel El Capitan was built in 1930 by the Gateway Hotel Chain, led by Charles Bassett, at the crossroads of the forthcoming Carlsbad Caverns, Guadalupe and Big Bend National Parks. 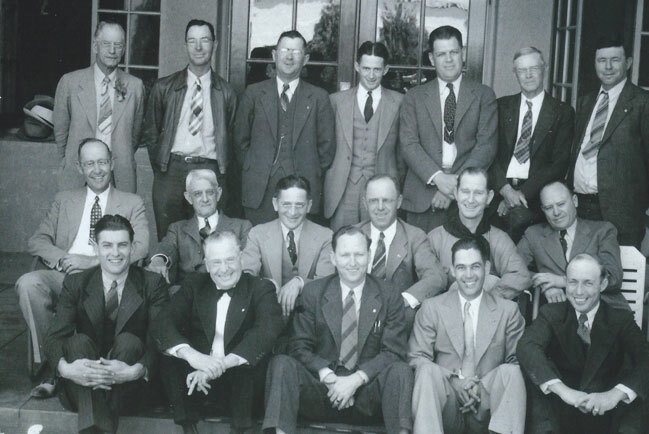 The hotel was designed by famed architect Henry Trost and constructed by McKee Construction Company, all of El Paso. The building operated as a hotel until the late 1960’s. 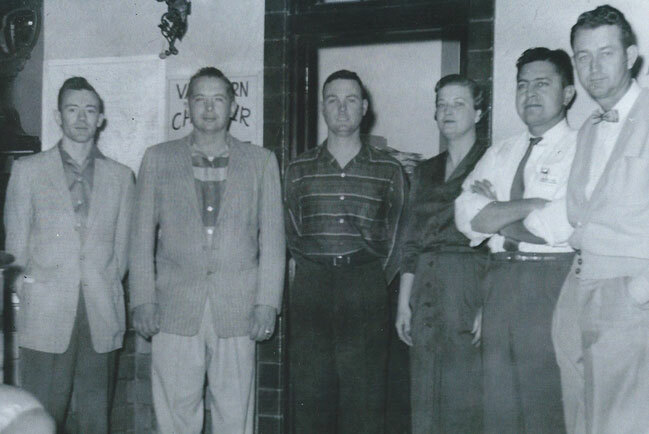 In 1973, soon after Interstate 10 opened and a majority of the traffic had bypassed the once popular landmark, it was converted into the Van Horn State Bank.In 2007, Lanna and Joe Duncan of Fort Davis purchased the building from the bank with the plan to convert it back into a hotel. The building is essentially the identical floor plan of its sister hotel, The Hotel Paisano, in Marfa, which is also owned by the Duncans. 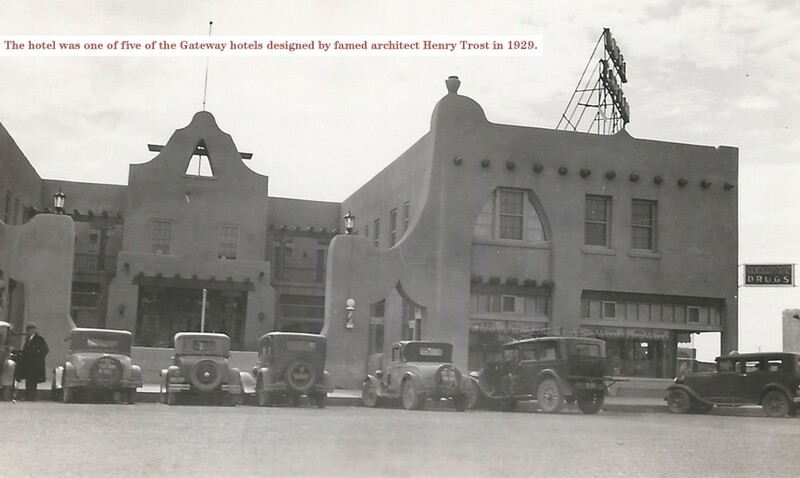 It was one of the five hotels built by the Gateway Hotels in Eastern New Mexico and West Texas. The other three hotels were located in Lordsburg and Carlsbad, New Mexico and downtown El Paso. Bassett built the hotels in an attempt to encourage tourism within 200 miles of El Paso. Trost was responsible for the design of over 550 buildings from California to Texas between the early 1900’s until his death in 1933. He studied architecture under Louis Sullivan in Chicago and was influenced by Frank Lloyd Wright. The 26,000 square foot hotel, typical of most Trost buildings, has a lobby with unique European tile on the floors and stairwells with finely crafted wrought iron banisters and exposed Spanish vigas lining the fourteen foot ceilings. Nearly all of the buildings in downtown El Paso constructed between 1910 and 1933 were by Trost. The El Capitan has forty-nine rooms. Twelve rooms have French doors that open to private exterior balconies or patios which, like the Paisano, overlook a central Courtyard with a fountain centered around a treed landscape. Every bathroom in the building had been removed in the 1970’s conversion to a bank. All of the rooms today have private baths rebuilt just like the originals with black and white hexagon tile and Kohler fixtures. The entire building has new plumbing and electrical service. An elevator has been added that serves a 3,000 square foot basement, lobby, mezzanine, second floor and roof top. The Eagles Nest is a room adjacent to the roof top elevator that is named in respect to the Van Horn Eagles high school mascot. Also on the roof is a new exact replica of the original red neon sign that stands twenty-five feet high. Each of the Gateway hotels had these signs to act as a beacon for travelers coming into town. Our Dining Room and the “Gopher Hole Bar” open nightly at 5 pm. The Gopher Hole was originally located in the basement. The old passageway in the building to get there turned in a way like a gopher hole. Many town social gatherings took place in the Gopher Hole. If you ask Duncan what was the most interesting aspect of rebuilding El Capitan, he says “finding the secret passageways of the building”. Apparently when the bank moved in, they closed, for security reasons, several staircases, about 50 linear yards of underground tunnels and one small room that looked like an employee hideout. He says, during renovations, they started pulling 1970s paneling off walls and found all sorts of passageways that nobody knew anything about. The only artifacts from the original hotel that were found there were some vintage monogrammed El Capitan dishes and 1930’s beer cans, which were found in the hideout. The Hotel El Capitan is once again becoming a destination for travelers in far west Texas.